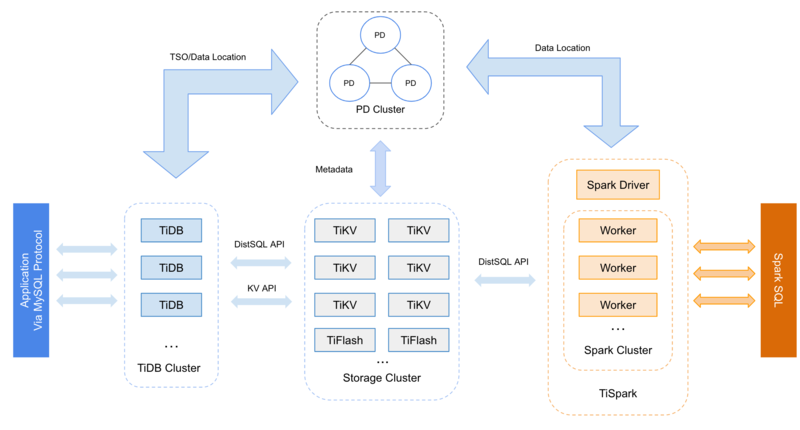 TiDB ("Ti" stands for Titanium) is an open-source NewSQL database that supports Hybrid Transactional and Analytical Processing (HTAP) workloads. It features horizontal scalability, strong consistency, and high availability. TiDB is MySQL compatible and a distributed relational database that can handle both OLTP (Online Transactional Processing) and OLAP (Online Analytical Processing) workloads. TiDB uses the Raft consensus algorithm to ensure that data is highly availlable and safely replicated throughout storage in Raft groups. In the event of failure, a Raft group will automatically elect a new leader for the failed member, and self-heal the TiDB cluster without any required manual intervention. Failure and self-healing operations are also transparent to applications.